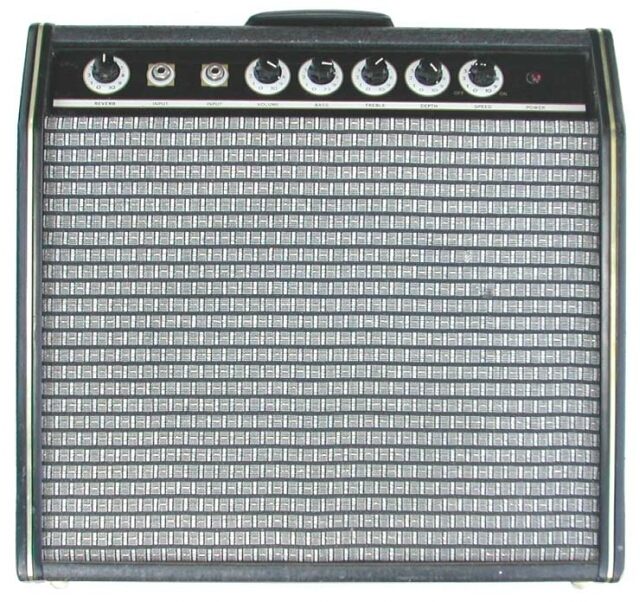 This is an interesting amp in that it does not display a brand anywhere. 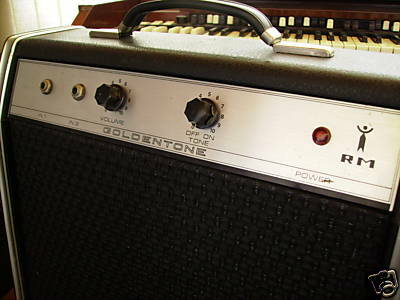 yet has very typical “Goldentone” traits, right down to its Plexiglass control panel. 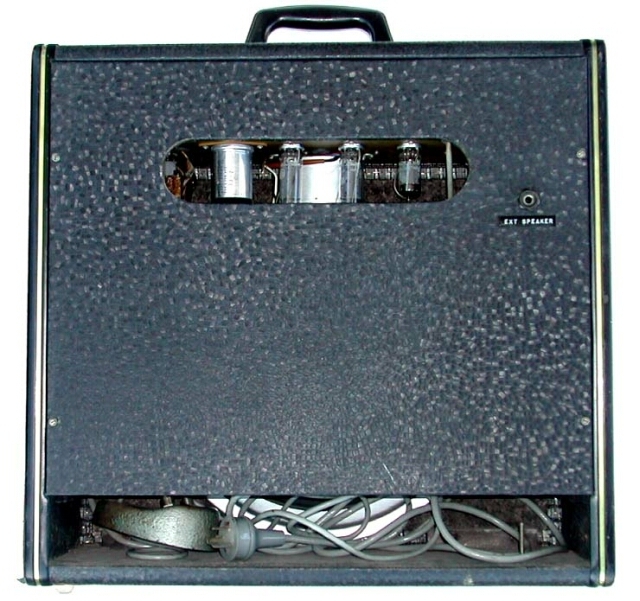 Yes, we even had our own “Plexi” amps! 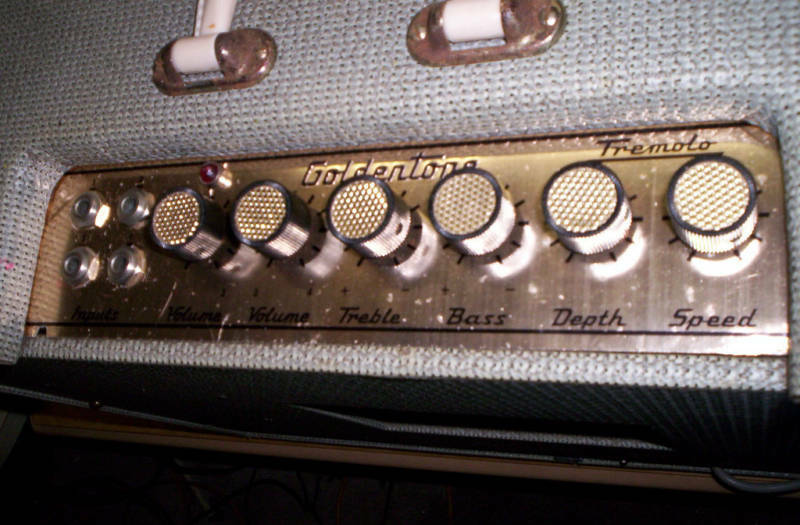 Even the cast footswitch to control the reverb and tremolo is very typically Goldentone. 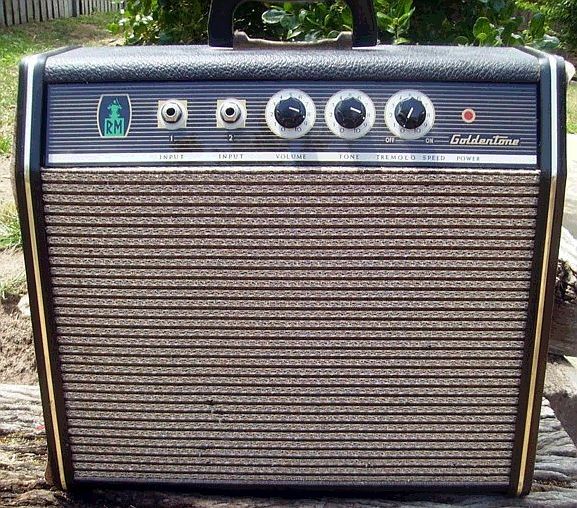 This amp would have been built in the late '60s, almost certainly by Goldentone, and then sold possibly under another brand. 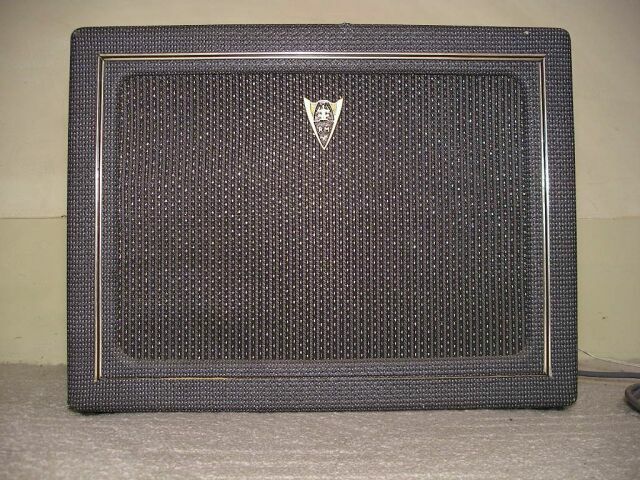 Possibly Maton? Is anyone out there able to shed more light on this mystery? 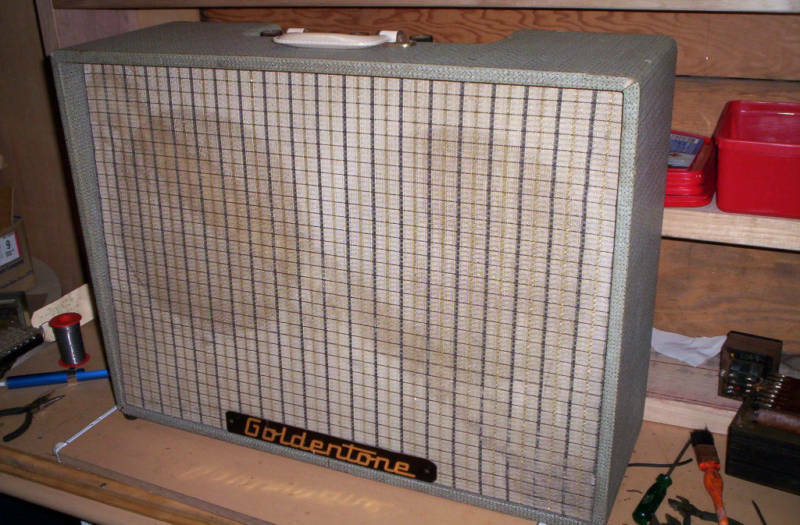 John B has written to us and confirmed that this amp is identical to his badged Goldentone that he is presently restoring. 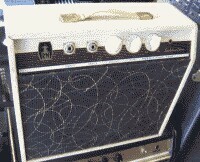 The tone is awesome. Around 15 watts from its push-pull output into a shallow 12” speaker. 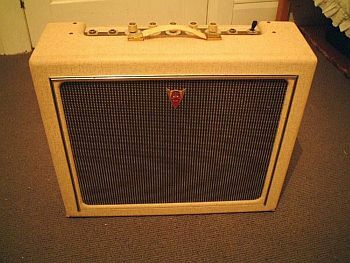 However, the real forte of this amp is the tremolo, which is simply delicious. 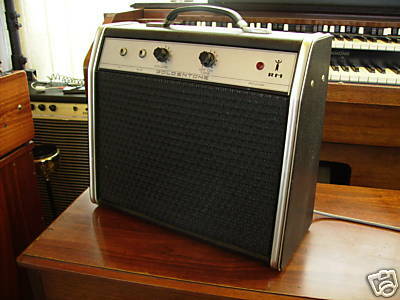 There is also an external speaker connection, allowing the use of a more efficient extension speaker to get the most from this little gem. All original in every respect. 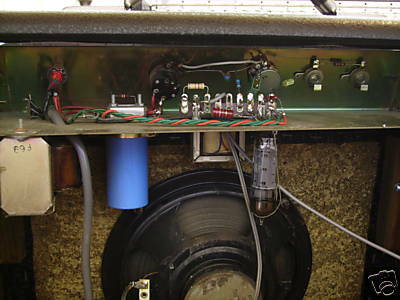 Even the valves are still the original Australian-made Super Radiotron AWV valves. 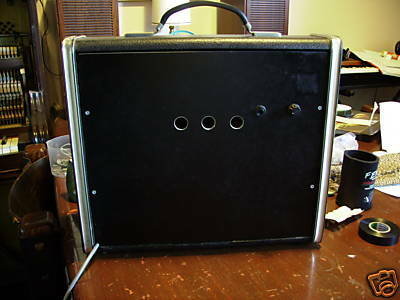 7W, $91.50, two input, tremolo, 2x 6GW8's, 1x 12AX7, Hi-Eff. 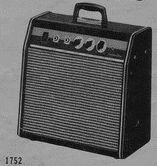 Rola 8 inch speaker. 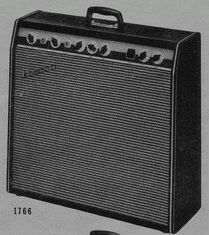 4.5W, $63, as 1752 without trem. 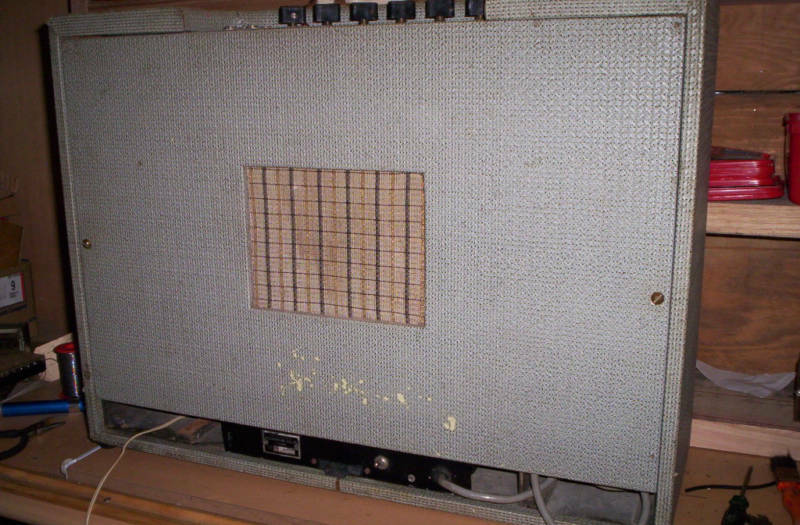 Spotted by prime e-Bay spotter PaulC, this would appear to be a model 1750. 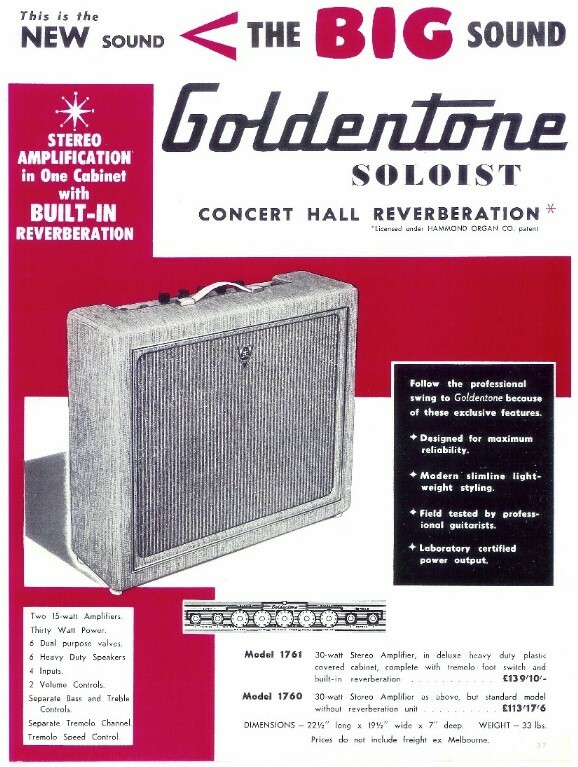 A marketing flyer for the Soloist (shillings, inches, and pounds). 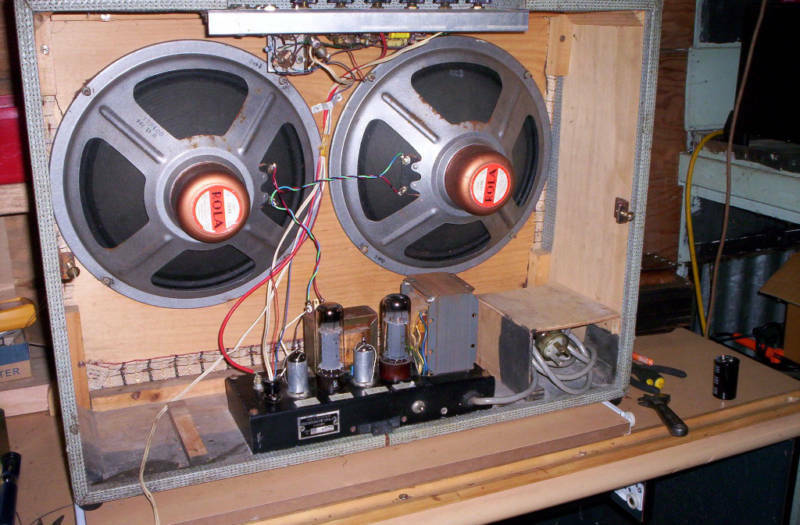 They get a bit carried away with puffery calling it “Stereo amplification in one channel”. 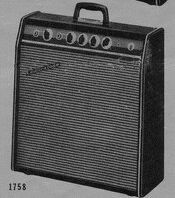 Since it only has one output stage there isn't anything “stereo” about it, the justification would have to be that it had two speakers. Also, visit Brad's Goldentone Gallery - Combo, Solist. 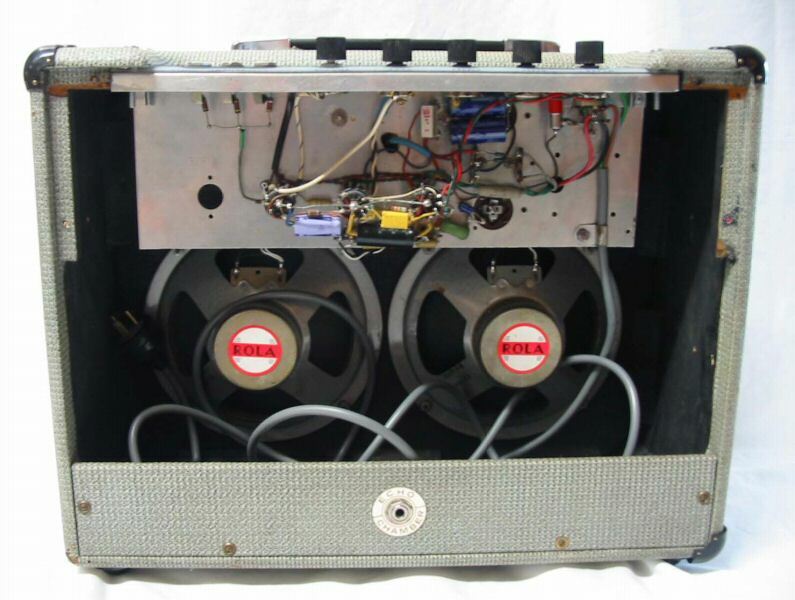 Tubes are 6GW8s and 12AX7. 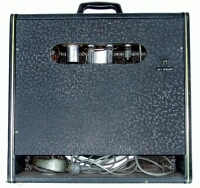 The 'echo chamber' socket at the bottom is unlikely to be a Tip Ring Sleeve (TRS or 'stereo') since stereo wasn't common yet, but possible as TRS connectors had long been used in telephone service while uncommon in audio. 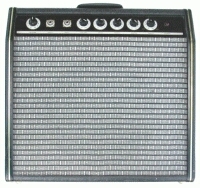 The Rola speakers are possibly C8M ('ceramic' i.e. 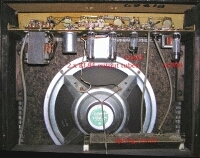 ferrite magnet), or C8MX (eXtended range with whizzer cone) types if they have twin cones. 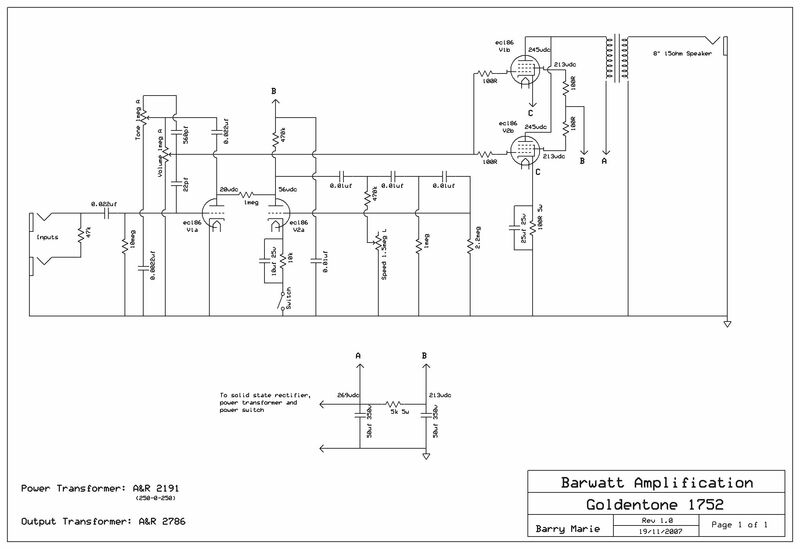 Thank you very much for your help. 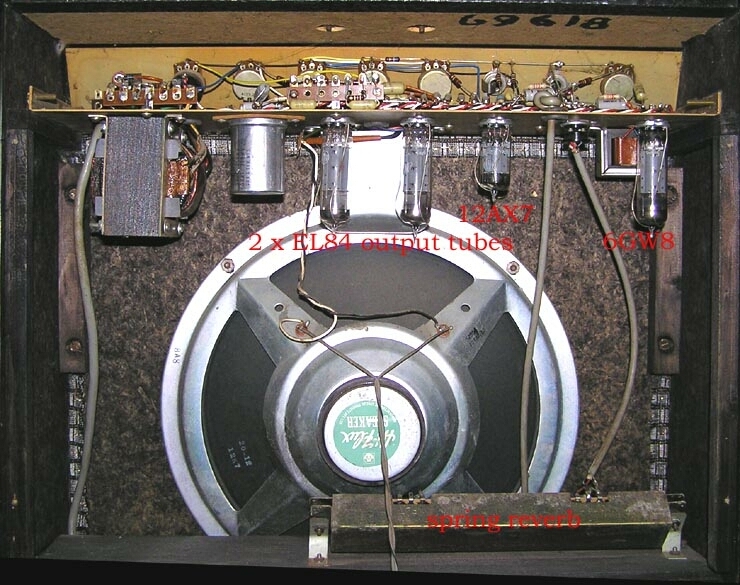 I haven't fixed the [tremolo speaker pumping] problem yet but I think I will start with replacing the valves the current ones appear to have black marks (like burn marks) inside the tube. The 6GW8's are 'miniwatt' valves. 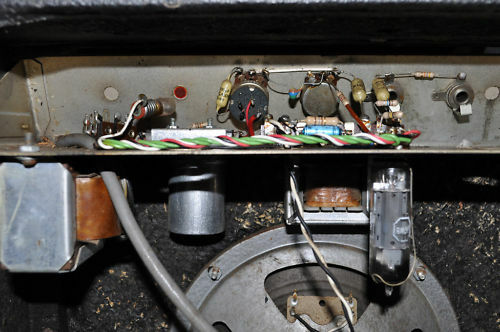 Anyway according to your Phillips dating code they were made in october 1960 and have no week code (agreeing with your site statement) “made in germany” was printed on the tubes but it rubbed off pretty quick along with most of the other writing, the 12AX7 was made in Australia. 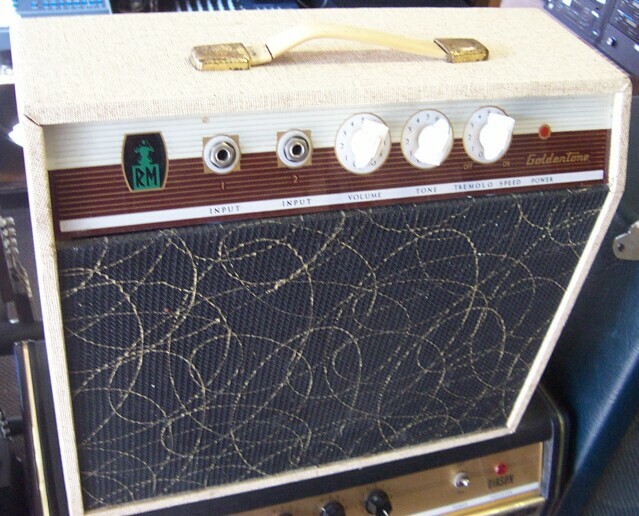 I am sure that it would be 1960 rather than 1970 because the amp was purchased around 1966 and are probably the original valves. 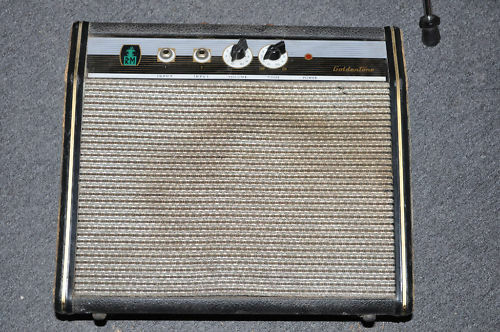 Also I think that all the electronics in this amp are original because it was originally owned from new by my uncle and he used it briefly when he was about 18 and then it was stored in a shed until i came across it. 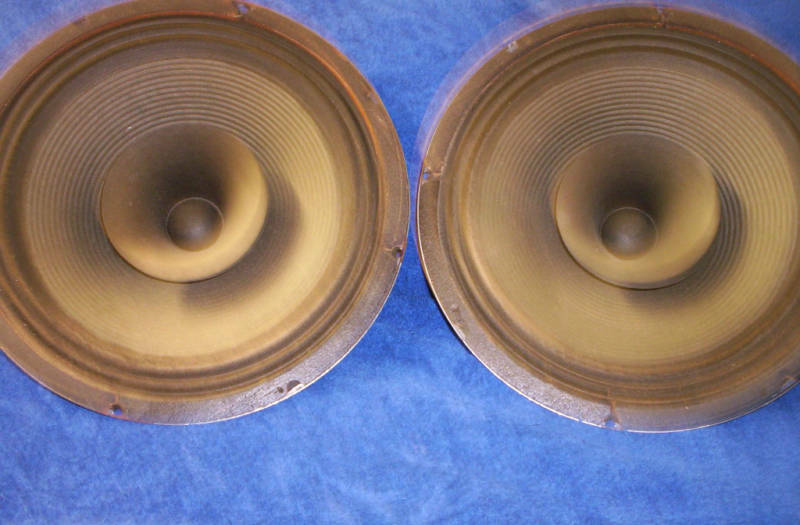 The speakers are 'Rola' 8M23 and I do still have both originals I replaced one because the cone was making noise but the cone stopped making the noise after I removed it, I might put it back in one day, but the newer speaker performs better. 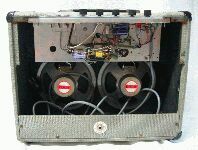 The wires for the echo chamber have been snapped and I am not sure where to hook them up to. 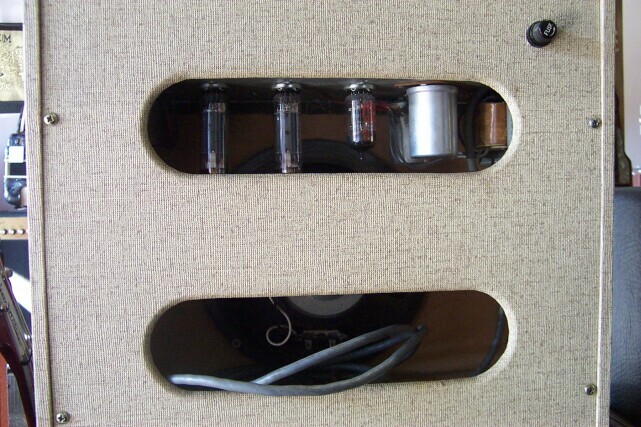 I was thinking of maybe using that echo chamber jack as an external speaker port though so I can plug in some nice 12” speakers into it without have to mod the cabinet.